For antiques, stove parts, steel sinks, exhaust pipes, manifold, headers or any one of a kind part or product you may have. 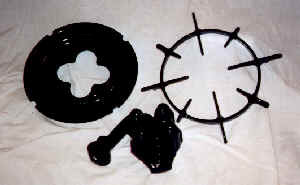 We specialize in steel and cast products. We can handle limited production runs, prototype work in many available colors. 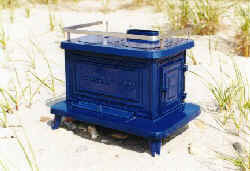 Marine Stove Our customers have challenging applications, from single item antique restorations to prototype developments, to unique or sporadic volume production parts. we can give you the quality and service you are seeking. is a glass based material fused to metal at over 1400ºF. The result is a durable, beautiful finish superior to paint. You want your parts to be both durable and attractive. Choose porcelain enamel.